As one might expect, the languages spoken at home by children and youth under age 25 are, for the most part, proportionally similar to the general population. In 2006, there were 6,700,710 children and youth—about 68% of the population under 25—who spoke only English in the home. There were 1,929,455 children and youth who spoke only French in the home, representing about 20% of the under 25 population. 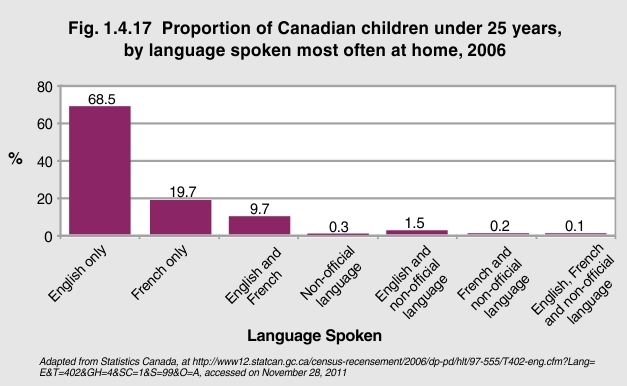 Almost 10% of children and youth under age 25 spoke solely a non-official language in the home.